July | 2011 | Larval Subjects . Recently a theme has been going around from certain people who like to attack activists, ignore the reasons they give for their activism, and who like to attribute ugly motives to them, that driving priuses, using energy efficient lightbulbs, getting solar panels, and becoming vegetarian will solve our environmental problems. To be clear, I am for all of these things and certainly don’t reject them, but I find three things particularly interesting in arguments coming from those who would li,e to call themselves eco-activists because they give talks and sometimes make appearances on radio: 1) I find it interesting that those who argue this position provide no analysis of the economic constraints on the vast majority of people. With wages depressed for literally decades, class disparities in wealth the greatest they’ve been since the Great Depression, overall unemployment hovering around 9% and at over 16% among African Americans (curiously defenders of this line of argument tend to claim they’re arguing from a standpoint of racial equality, arguing that the left is racist in its criticisms of the neoliberal policies of the administration, even as they support and defend policies devastating to minorities, ie, they defend a purely abstract equality) electric and hybrid cars, energy efficient lightbulbs, vegetarian diets, and solar panels are expensive, and in many cases, unobtainable luxuries for many just trying to survive (often under conditions of crushing debt). Again, the point is not that such things shouldn’t be done if one is able, but that it’s curious that one would focus on such things–especially in an object-oriented framework that acknowledges objects as agencies and material conditions –without examining the economic constraints on this sort of “activism”. 2) I find it interesting that this line of argument places the onus of change on consumers and workers (or those who work for a wage), while never, as far as I can tell, addressing the role of owners and industrialists (those that invest money to make money). The role that industry and buisiness play in our environmental problems seem to go completely unaddressed in this line of thought, as if the axiom of endless annual growth in capitalist economy did not have the lion’s share of fault with respect to the destruction of our environment. Basically, then, business and industry that have produced the majority of this catastrophic destruction are to get off free, while wager earners are required to accept more austerity, more channeling of wealth to the upper two percent, less mobility and freedom, and will be required to pay for the consequences of this destruction through their tax dollars. It’s as if fighting the environmental catastrophe were merely a lifestyle problem, a style, where it’s enough to simply eat right, drive the right car, have the right lightbulbs, etc (so long, of course, as you’re an Oxford trained person that can afford to live in California who can safely condemn morally all those without jobs, good wages, sturggling to raise families on limited incomes, struggling to survive while suffering from chronic income on limited income, etc. These people just are not making the right lifestyle choice and are culpable for not having an Oxford education). The problem here is not that something is asked of consumers– that’s great and necessary –but rather that nothing is asked of business and industry. Indeed, we even repeatedly see a form of argument where wage earners aren’t even supposed to speak up because “the experts i government and business have this!” No seat at the table for these unwashed masses! What do they know about the delicate nature of economy? Of course, this comes as no surprise if you come from a privileged perspective that enables you to argue that the problem is primarily one of environmental aesthetics, of how art has represented nature– which, of course, doesn’t exist (why not instead claim that there is nothing outside nature?) –and not of real material conditions… Again, a rather luxurious position. 3) It is interesting that this position often leaves uninterrogated the relation between big money and the government. Often this position– I’ll call it the “Oxford politics” –shows a strange Oedipal faith in governmemt leadership, arguing “don’t worry, we have this”, ignoring the disproportionate power that industry and business exercise over governmemt policy rendering it disinclined to rock the policy boat in ways that might harm profit margins. Where it is acknowledged that these sorts of pressures exist for elected officials we are told nothing can be done and that the only option is to place the onus on consumers, leaving business and industry untouched, ie, we get a narrative about “political realism” and maturity. In other words, we get an inegalitarian “politics” where workers and wage earners are called to sacrifice while nothing is sacrificed by business and industry. This is a curious politics which blames those that protest and speak out saying “we’re people too, what of our place, why do we not get a say, why do we make all the sacrifices?” rather than those in positions of governmemt power and the massive power of business and industry. It is never suggested by tye Oxford political theorists (really they try to annul politics) that people should use their people power to put pressure on business, industry, and elected officials to compel them to adopt more equitable solutions and to address the root of the problem. Indeed, those that speak up are usually condemned (generally in an ad hominem fashion that doesn’t address the points or address the question of why only wage earners must sacrifice and give up their freedoms) and the spectre of a lunatic right is trotted out to compel us to accept more austerity. The point again is not that energy efficient cars, lightbulbs, diets, etc, are not good measures, but that it is odd that Oxford politics takes all these other elements off the table, attacks those that speak up, and remains silent on the role of big money in these problems and in government inaction. It’s no wonder that realism has such a bad name. It has perpetually been ruined by political realism. Political realism has always been that despicable ideology whose name is necessity. It has always functioned at the behest of inegalitarian social arrangements, justifying one more way deny people their voice and to expropriate their goods. On the one hand it strives to regulate bodies in such a way that only some bodies are entitled to have a say, to govern, to rule, to lead, while others are relegated to silence and, above all, invisibility. Political realism is here a mechanism designed to render invisible voice and other social entities. The political realist always says “listen to those in the know”– usually oligarchs or servants of oligarchs –“they are naturally superior, they have your best interests at heart!” Speaking against the masters becomes pure folly. The voice of those that protest, that refuse the “wisdom” of the masters, is immediately coded as animal noise without reason that only “emotes”. We can think here of the difference between how the medical establishment treated hysterics before and after Freud. Prior to Freud, the hysteric was to be dismissed, to be denied voice, to be relegated to the irrational. After Freud the hysteric is to be listened to as articulating a wrong and a breach in the order of identifications. Political realism strives to silence the hysteric, claiming that their voice is no voice at all, that that voice comes from no place of knowledge or wisdom. In this way, second, the political realist insures the smooth operation of exploitation and oppression. If the voice of the hysteric (the protester, the activist) is successfully silenced, then they never have a place in the process of deliberation. Their vantage need never enter into the calculus of forming ways of life, bodies, rankings, countings, etc. The oligarch and servant of the oligarch always claims that he knows what’s really best for such and such a body. That body, of course, is no longer consulted, nor is it allowed to participate in any way. Like the patients in older systems of psychiatry that are never consulted but which are subjected to everything from forced medication to electro-shock therapy to lobotomy, this part is everywhere regulated by the state, by the masters, by the oligarchs– and “for their own good” –without having any say in it. Political realism always strives for this refusal of voice. The voice of this uncounted part is reduced to mere emoting, ignorance, stupidity, lack of tactical understanding, etc., etc., etc. It’s infantalized and animalized. Of course, here the animal is the example par excellence of the voice denied voice; of the voice reduced to a grunt. The animal is what we all are within the statist framework of political realism. It is in this way that exploitation and oppression proceeds apace. The animal becomes entirely invisible, or rather reduced to a code that’s already managed by the regime of the oligarch… It is reduced to a voice that has always already spoken and been understood; which is to say that it has been reduced to what the oligarch believes the animal to be saying. As such, it is inapparent. Yet the “animal” must still be convinced. This is the most despicable gesture of the political realist. The political realist naturalizes the contingent organization of the social order, perpetually arguing that this the only that can and does exist. By virtue of this effacement of the contingency of this order, by virtue of the naturalization of this order and the identities that populate it, the “animal” must accept austerity foisted on its back because the alternative is “worse”, the animal must accept second class status as a woman, a latino, a black person, a queer, a worker, etc., because the alternative is “worse”. The mechanism always consists in creating a false dilemma between catastrophe and exploitation and oppression. To avoid the former, the political realist hopes to persuade the animal to accept the latter. Of course, this deadlock only proceeds through the denial of voice to the animal, a voice which opens the possibility of different distributions of the social than those that currently reign. Is There a Politics of OOO? As an ontological framework OOO prescribes no particular politics. Nonetheless, it’s difficult to escape the impression that there are political implications to this ontology. In declaring that being consists entirely of objects, in refusing a partition of being into two distinct ontological categories, the subject and the object, OOO seems to begin from the standpoint of equality. Its core spirit is one that rejects hierarchy such as we find in the infamous “great chain of being”. It will be noted that in the deployment of this ontology, OOO selects the lower term in the couplet of the subject and the object to take as its general ontological category. Historically, the category of the object has been conceived as the passive pole in the couple of the subject and the object. The object has historically be seen as that which is mastered by an active subject. This line of thought achieves its zenith in idealism, where the object is erased beneath the subject altogether. As such, subject-object ontology 1) inscribes hierarchy into being, and 2) implicitly develops a logic of mastery that pervades every branch of philosophy (the most troubling forms of mastery and hierarchy appearing in political theory and ethics where, again and again, philosophy rediscovers the need to posit a master that knows and a rabble in need of direction and subordination to this master: Plato’s philosoper-king as the dream inscribed unconsciously in nearly all phallosophy). OOO, by contrast, makes the strange claim that humans are objects among other objects (they have no ontologically privileged position and are not the crown of existence) and proposes the strange idea of active objects (objects that aren’t merely passive recipients of the acts of other entities but which are agencies in their own right). This week it occured to me that there is a profound overlap between Ranciere’s political philosophy and OOO. Like OOO, Ranciere begins from an axiom of equality. Everyone, Ranciere says, is equal to everyone else. Where phallosophy begins from an axiom of inequality, arguing that there are some that are unequal and therefore in need of rule (phallasophy henceforth becomes the elaborate demonstration of this inequality and elaboration and justification of why it should rule and how positions should be organized in society based on this rule (think of Plato’s partition of society into roles of bronze, silver, and gold alloting different hierarchical forms of labor with the phallosopher at the top, or of Brandom’s obsessive meditations on rationality seeking to determine who is authorized to speak)) philosophy begins from the premise of equality and democracy. Here democracy is not a form of government or the state, but an action and a way of relating to others premised on equality. It is a form of relation that refuses to relate to others as ignorant students in need of a master to govern and instruct them, but that instead relates as equals in collaboration. For Ranciere, politics refers to that form of practice, and that form of practice alone, where those elements that have been excluded from the social contest this hierarchical ordering and demand to be included as actors that can speak. To understand what Ranciere is getting at, it’s necessary to understand his concept of the “police”. For Ranciere, the police is not people with badges that pull you over for speeding. No, “police” refers to that order within society that allots positions and roles, establishes and naturalizes hierarchy, determines who is a member of the social and who is not, and, above all, who is authorized to speak and who isn’t. At base, the police is that order of inequality that determines who can speak and who can’t. Ranciere illustrates this concept with respect to book one of Aristotle’s Politics in his brilliant Disagreement. In book one of the Politics Aristotle asks the question “are there natural born slaves?” Often this portion of the Politics is treated as tangential to the rest of the book, but Ranciere argues that it is crucial to Aristotle’s understanding of politics for it outlines the conditions under which one can legitimately rule over another. The question of whether or not there are natural born slaves spins, in Aristotle, on whether or not slaves have logos or the capacity for rational, self-directing speech. Aristotle contends that slave speech is largely akin to animal noise. Because certain persons are not capable of speech, it is just for them to be ruled by a master. This is the police. The police is that order that distributes the difference between speech and noise, determining who gets to participate and who does not. Politics is what contests these partitions and distributions of the social, working from the axiom of equality. Ranciere’s schema for the police as the mechanism that partitions speech from noise works nicely to pinpoint a variety of sites of struggle. The police is not an entity nor a conspiracy, but an immanent machine within the social that distributes rulers and ruled. We might, for example, think of the place of the worker in the workplace as the one denied “speech” in how the workplace is run. We can think of the denial of speech to women prior to emancipation and those instamces where “female speech” continues to be denied such as the treatment women often receive from their male colleagues in phallosophy departments. We can think of the distribution of speech in the classroom between teacher and professor. In each case we have a hierarchy in which speech is authorized for one position and the other goes uncounted and is coded as noise. Politics is that moment where this distribution and partitioning is challenged and a demonstration of the power of speech for that uncounted part commences. The commencement of this sequence premised on axiomatic equality is what Ranciere calls “democracy”. Class struggle, for example, would be an instance of democracy. Much of what takes place in “democracies”, by contrast, would not be democracy as it is a procedure of the police, distributing noise and speech, and maintaining hierarchy. Democracy is a verb, not a noun. It’s not something you live in but that you do. Ranciere’s politics, of course, is human centered in that it is occupied with analyzing those moments of politics where the uncounted assert amd demonstrate their power of speech, transforming the social order as a consequence. None of this disappears in OOO as humans do not somehow cease to be beings within OOO. The OOO flattening of being only entails that humans are not ontologically privileged beings. We are, of course, important to ourselves– just as dolphins are important to themselves –but we are not the summet of existence. However, when Ranciere’s political theory is conjugated with OOO we get an interesting result. We get the question “do nonhuman objects speak?”. Latour has taught us how to ask this question in texts like Science in Action and We Have Never Been Modern, where he shows how a certain nonhuman speech takes place in the laboratory. With the possibility of nonhuman speech, it becomes possible to include nonhumans such as animals and flourocarbons within the domain of the political, thereby making them voices in a democracy. In other words, nonhuman objects could no longer be treated as mere passive recipients for our use. Doesn’t the case against incrementalism, when it comes to things like global warming, amount to a version of what Graham Harman calls overmining, in the domain of ethics and politics? Vegetarians, Prius owners and solar power enthusiasts (I check all those boxes) often encounter this sort of logic. The trouble is, left cynicism maps perfectly onto GOP do-nothing-ism and Gaian defeatism (Gaia will replace us…like a defective component). Nothing happens. Result? Global warming continues apace. The OOO argument for irreductionism (both under- and over- mining) is highly congruent with ecological awareness. Well no, this is not what arguments against incrementalism are about Tim. The first thing to note is that Tim here reinforces reactionary rightwing frames by attacking activists and progressives and painting them as identical to conservatives. Way uncool. But that doesn’t get to the fundamental point. I see incrementalism in a very different way than Tim sees it. Incrementalism as it functions in conservative American democratic circles isn’t remotely like the empowering position he describes. Nor is activism the cynical position he describes. Indeed, the activists believe current structures of power are contingent and can be changed. Incrementalism is not an empowering position, but a disempowering position. It is a position that defends the status quo and refuses to do anything rather than taking the steps he describes in his post. Incrementalism says “Americans, elected officials, and corporations would not accept such and such a proposal if you made it”– and here’s the crucially important part –“so therefore we shouldn’t even propose it.”. The incrementalist says that we should only ever propose what people are ready for and should never push for anything stronger. They then give a lecture about maturity, immaturity, and “reality”. “You stupid women, don’t you realize this is a male dominated culture, that government entirely consists of men, and that people just aren’t ready for equality? Don’t you realize that by fighting for these things and not compromising, you’re just putting people off and undermining your own chances of success? You need to be mature and recognize what reality is and compromise!” That’s incrementalism. Of course, the incrementalist never recognizes that people won’t be brought around without the actions of those “unreasonable”, “immature” activists that refuse to compromise, “recognize reality”, or “simmer down”. The entire rhetoric of incrementalism as it’s functioned in the last couple years has consisted in slapping those down that are proposing stronger interventions and measures. It’s argument has continuously been “people aren’t ready, so quit your bitching!” The whole problem with this line of argument is that it ignores the difference that simply putting things on the table can make in rendering real change possible by making it conceivable. Conservatives have understood this for decades. They publicly articulate extreme positions understanding that today they will not ne able to enact these things. Yet by putting these things on the table publicly they both seed the social imaginary and define the position from which negotiations take place. That is how incremental change takes place: not by adopting a rhetoric or political practice of incrementalism, not by making incrementalism an aim, goal, or virtue, but by taking up a position publicly, without compromise, and rendering it imaginable and even obvious for the public over time. I wrote about this years ago in this article. A rhetoric and political practice of incrementalism, by contrast, disempowers by foreclosing the social production of alternative possibilities. The real problem is not left cynicism (apart from a few classical Marxists I’ve never encountered this, quite the contrary), but rather “pragmatic realist” defeatism such as Tim is advocating (at least in his political theory) that pre-emptively holds that “x is not possible therefore it shouldn’t even be articulated.” This forgets that we do have agency, that rhetoric makes a difference, and that articulating things makes a difference in both practice and in what is possible (cf. Ranciere’s account of the partitions of the sensible). I suspect that Tim doesn’t really mean what he seems to be saying based on what he writes, but am perplexed by his habit of activist-punching (especially coming from an environmentalist) and his attachment to institutional power rather than adopting the role of the environmemtal gadfly that makes institutional power uncomfortable and pushes it kicking and screaming to take environmental action. Does he really think that elected figures, whose pockets are lined by the money of big industry that stands to lose massively from these changes, who rely on this money to get re-elected, who live in fear of the negative advertising made possible by Citizen’s United are going to pursue the policy changes required with respect to environmental issues? This is his environmental politics? Believing politicians will do it of their own accord so long as those damned activists don’t say mean things to them (on twitter he’s implied that activists and progressives are just racists and often remarked that they’re doing the work of republicans) and get in the way? So let me get this straight. The activists constantly putting pressure on elected officials are the problem with environmental politics and the winning strategy is to just sit back and let politicians handle things. This stuff can’t be made up. And he’s the one lecturing about inactivity! I’m sorry to be so harsh to my friend, but after a couple years of witnessing this activist punching I just can’t shut up about this. No, these changes will only occur if the public scares the daylights out of elected officials. Who’s the realist here? What he says about driving priuses and vegetarianism is exactly the opposite of what the new weinie democratic incrementalists are advocating. Tim, I take it, is saying these are things we ought to defend and that can make a difference even though there’s far from a readiness to advocate these things among the public. He’s saying that strongly defending and advocating can make a difference. The weinie incrementalist, by contrast, says the public at large is not ready for these things, so we shouldn’t even defend or articulate these positions as doing so will further entrench opposition. In terms of Plato’s arguments in Crito, the wienie incrementalist, afraid of his own shadow, says we should let the rabble determine what we defend and pursue (“Socrates, if you don’t escape aren’t you worried that the people will think…”). That is a recipe for never changing anything. Pursuing and fighting for big changes does not engender “passivist cynicism” but is the engine that motivates activists and that produces incremental change. It’s also the moral compass that captures the imagination of the public and that leads them to pressure politicians. Yet in incrementalist world we should have opposed civil rights or interracial marraige because a lot of people just weren’t ready for it. In incrementalist world, it’s the people demanding equality or pointing out the immorality and injustice of these things that are the problem. As I remarked in my last post, change is generally incremental, but that doesn’t mean you adopt incrementalism as a rhetoric, political practice, virtue, or philosophy. If there’s any overmining or undermining here it lies in the incrementalist reducing the field of the possible to the prejudices of the rabble. Those struggles for racial equality, gender equality, or economic justice would have never accomplished anything (nor motivated people to do anything) had they adopted this sad, pathetic, disempowering, offensive political philosophy… A political philosophy premised on the uninspiring notion of procedure that paternalistically believes daddy knows best (elected officials) and that also has a profoundly mistaken understanding of how historical change takes place. Hint: not through procedural governance which is always the icing on the cake that lags after the real political work done by the activists. It was by believing that their actions could make a difference, that public prejudices and reigning power are not omnipotent, that they are unjust and immoral and by fearlessly stating this even against those in government that you identify with, that they were able to accomplish anything at all and that they were able to get out of the bed in the morning to try and do anything. There’s never an excuse for activist punching. [ADDENDUM: Levi has an interesting post HERE supporting Žižek’s take on Wikileaks. I think his account of Žižek’s view is accurate, I simply disagree with that view. Yes, “we knew the system was corrupt” in approximate terms, but that corruption is not infinite, and the specific forms it takes are often quite stunning. I do think we learned something from Wikileaks, in other words. My worry is that if we take the tack that “we all know the system was completely corrupt and Assange simply had the guts to say it,” then we’re levelling all human behavior onto a single, cynical plane of corruption. In fact, it is possible to distinguish between greater and lesser corruptions, and greater and lesser evils. I certainly agree with Harman that there are better and worse corruptions and do not have the intention of flattening human behavior. For me the claim that the system is corrupt is not an a priori claim, but a historical claim. Insofar as money has come to be treated as free speech in politics, it has become largely impossible for politicians to do their jobs. To get re-elected they must constantly think about corporate money. The situation got incredibly worse with the Citizens United SCOTUS decision that allowed corporations to spend unlimited monies on political advertising. As a consequence, elected officials have now become severely hampered in what they can do, lest they bring billions of dollars to bear against them, and are forced into a Faustian bargain where they say “this is not what I really believe or wish to do, but at least I can do some good.”. As a consequence, American politics increasingly becomes a choice between coke and pepsi, where you get a significant choice on social issues (and that’s not nothing), but no real choice on economic issues. Or rather, you get a choice between warp speed drives to massive class stratification (republicans) and full impulse speed drives to massive class stratification (democrats). Here it’s worth repeating that economic philosophy is not simply about jobs and wages, but also structures nearly every policy and program. For example, the absence of movement we’re seeing on environmental issues has everything to do with political economy and economic philosophies. Likewise, the educational reforms we’ve seen in recent years are all premised on a particular economic philosophy. I think I’m particularly sensitive to critiques like Graham’s (and I don’t think Graham himself is suggesting this), because I see his remarks about gradations as leading to a politics of “incrementalism”. In other words, one says that these constraints are “the reality” (bad, defeatist realism), therefore we should only pursue incremental change (again, I don’t think Graham is making this argument). Notice that there’s an is/ought fallacy here. You can’t draw an ought from an is, yet this is exactly what this style of argument purports to do. This line of reasoning, parading under the title of “pragmatism” and “realism”, is exactly the argument we’ve seen coming from both the current administration and Obama’s ardent supporters. In the last three years they’ve never missed an opportunity to attack activists and progressives and have repeatedly bailed whenever activists have been engaged in real struggles (Wisconsin, for example). The whole problem with this line of “reasoning”, is that it fails to take into account of how incremental change occurs. Change largely is incremental (there are exceptions to this), but this doesn’t mean that one’s politics ought to be premised on incrementalism as a philosophy and practice. I think there’s something of an existential choice that people have always already made (ie, it’s never a conscious choice, but is always already operative in ones very being) to either side with authority or to side with resistance. One either believes that authority (whatever kind it may be) is on our side and is out to do good, or believes that authority is generally corrupt and in need of resistance. I do not believe politicians or elected officials are ever my friend or on my side, regardless of whether they are democratic, republican, Marxist revolutionary, etc. I distrust them all because I distrust all Oedipal formations. But I distrust them for reasons less abstract than that. I think that elected officials exist in a field of powerful forces and interests that render them disinclined to do the right thing (the money issue again). Now I understand that Graham sees this as illicitly flatening politics, but I believe this view has real consequences for political practice. The person that believes that politicians are disinclined to do the right thing because of the powerful economic interests they have to contend with will also believe that they have to be dragged kicking and screaming through engaged activism that perpetually holds their feet to the fire and makes life uncomfortable for them. The job of the activist is to make politicians fear the people. Right now they fear the corporations. Occassionally they fear us. They need to fear us more. Latour says we’ll never do better than a politician and uses this to lampoon activists. He might very well be right, but he is inconsistent in not noticing that this means activists too must form themselves into forces that politicians must negotiate or translate. The point is not to cede power to landed forces such as corporations and dynasties. The person who believes in authority and that elected officials are motivated by the best interests of the people will believe their work is done when they have voted. The person that believes politicians are buffetted by all sorts of vested interests that make it difficult to do the right thing lest they risk their re-election chances will believe their work never ends and will always proceed with caution with the figures they put in office. To many ardent Obama supporters have read strong criticism of the president as a rejection and abandonment of him (and indeed, some are doing this), when this resistance is a continuation of politics (I believe most on the left will nonetheless vote for this zombie return of Reagan-Nixon because president Perry, Romney, or Bachman is unthinkable, especially with regard to cultural politics). All things being equal, which side is likely to influence the political process: the side that nods it’s head and talks about how wise and wonderful these political decisions are on the part of the elected official, or the side that makes life difficult for the elected official and perpetually plays the part of the gadfly? My sense is that the first side has no historical existence because the side that merely nods and claps has no influence and therefore makes no difference. By contrast, the side that makes the politician’s job uncomfortable is the side of history because they force the politician to deal with them. Suspicion of power is the condition for change. In this regard, it’s been extremely depressing to see so many ardent Obama supporters step out of politics altogether, endlessly clapping, and adopting the rightwing practice of attacking progressives and activists. What led otherwise intelligent people to adopt rightwing frames against those fight for economic, social, and environmental justice? How did they become obstructionists? In my view, voting is not really a political act at all. It is a necessary act, of course, but it’s not politics. Rather politics is the work that drags officials kicking and screaming and forces them to do what’s right. Again, I don’t think Graham is suggesting anything like this (especially given his reporting on the Egyptian revolution and his reaction to Wisconsin). My remarks here are directed at one of the most depressing political betrayals of my life: the assault on the left and activists by ardent Obama supporters and the administration. The administration’s attacks are understandable (and also a sign that activists are exercising influence;they wouldn’t respond if we weren’t having an impact). The attacks of the supporters, by contrast, are unforgivable. I naively believed Obama could make a difference through his profound oratorical gifts, that he represented a move away from third way politics. I was wrong. He’s further entrenched and legitimized third way neoliberal politics. What’s been truly depressing, however, has been seeing my prior comrades become obstructionists, attacking activists trying to influence power to produce incremental political change. I’m now at a point where I’m at a loss of what to do. I feel powerless and without the ability to effect change, abandoned and without representation. Increasingly I hear Voltaire’s “tend your garden” in my head. If things continue along these lines economically and environmemtally I fear that there will be blood and tremendous suffering. We’re having a great vacation here at Dauphin Island. We spent the morning on the beach (now I’m a bit burnt), and ate blue crab we caught right of the ocean for lunch. Lizzie is having an amazing time, building sand castles, playing in the surf, and collecting shells. Tonight we’re doing a shrimp boil with fresh gulf shrimp, red potatoes, corn, and andouille. Clearly, for me, travel is always about the food. My least favorite moment in Žižek’s Guardian interview (which I otherwise loved: see HERE) was the Wikileaks analysis, where he critiqued the “liberal” interpretation of Wikileaks as simply an augmented form of investigative journalism, and treated it instead as an “emperor has no clothes” moment for the whole of capitalism. I have a slightly different take. I don’t think Zizek was attempting to disparage or dismiss the importance of Assange or wikileaks by any means. Rather, I think Zizek was trying to formulate why these events have been important. One of Zizek’s favorite moves is to talk about the “logic of the re-remark”. This is a very strange logic. With the re-mark, nothing new is articulated, the exact same thing is repeated, yet somehow the repetition changes everything. In the psychoanalytic setting, tye analyst might merely repeat what the analysand said, yet somehow the repetition of that phrase brings it to resonate differently. This has to do with the nature of repression. Repression does not mean, necessarily, that something is hidden or withdrawn. The repressed can be right there, on the surface, as in the case of Freud’s famous example of repression by negation in the “Negation” essay. The patient says “I don’t know who that woman was in my dream, but she definitely wasn’t my mother!” The repressed content is the patient’s mother. This content is entirely present in the patient’s speech, but is under the bar of repression through the negation. In a situation like this, the analyst might merely repeat “your mother” in an intonation that hovers ambiguously between question and statement. This repetition can have the effect of generating an entirely new series of association, indicating that the analytic intervention has hit the truth or mark. The logic of the re-mark thus works through subtraction amd grafting, pulling something that is already inscribed yet repressed into presence. Consider some more familiar examples: an abusive alcoholic father and a gay son. In the first instance, everyone in the family knows the father is abusive and alcoholic, but it is never spoken or talked about. One day a distant aunt visits and, at dinner, after the father has behaved horribly, she casually remarks “you know he’s an abusive alcoholic, don’t you?” Even though everyone in the family knew this, they are nonetheless shocked and scandalized. The gay son is anfavorite popular example of this logic as well. Everyone in the family knows the son is gay, yet it is never spoken and the son himself doesn’t conceive himself this way either. One day a teacher, believing this was common family knowledge, says something about his homosexuality, shocking everyone. The best example of acephalous knowledge and the logic of the re-mark is, of course, The Sixth Sense. Bruce Willis’s character clearly knows that he’s dead. We can see this because he studiously avoids anything that might remind him of his death. Yet this knowledge is acephalous in that he refuses to know what he knows, he represses this knowledge, and thisnrepressed signifier thereby determines all his actions. When the boy reveals that he’s dead at tye end of the film he re-marks this knowledge, lifting the bar of repression. Everything changes. In these situations, nothing new is said, no new knowledge has become available, but the re-marking of this acephalous knowledge changes everything. I call this knowledge “acephalous” because it is “without a head”. It is there, but without being posited for the subject’s involved. It operates, but in an unfree fashion. Why unfree? Because everywhere this headless knowledge operates like an automaton, creating all sorts of compulsion repetitions characteristic of the symptom, without those involved being able to take up a position with respect to these signifiers. As Lacan argues in his commentary on Poe’s Purloined Letter, the letter, the signifier, determines the position of all the subject’s involved as an acephalous automaton that structures their relations. By re-marking the letter, freedom arrives or becomes available apbecause now we can take up a position with respect to these things and begin to work through them. I believe this is what Zizek is getting at with respect to Assange. The radicality of Assange’s act is not what he revealed to us, but that he revealed it. Everyone knew that the government is corrupt, that it was covering things up, that it was making shady deals with corporations, etc. Yet this was never spoken… At least publicly in the media. What Assange did was re-mark this knowledge, inscribing it publicly. He attacked the key ideological prohibition upon which contemporary governmemts are based: speaking about their corruption. Instead, the standard ideological mode of operation consists in the narrative that states really are working on behave of the welfare of average people, that they really are struggling on behalf of the public good (rather than continuously making shady backroom deals with the wealtheists so as to advance their interests and the interests of these forces, both of whom seem to think their guys really are pursuing their interests and not just using them for their own aims). We all know this more or less (unless we’re ardent Obama supporters or blinkered members of the Tea Party) yet we’re never supposed to articulate it publicly. In comparing Assange to the boy in the Emperor’s story, I helieve he was giving him the highest praise, arguing that he occupies the position of the analyst, not the university in the four discourses. I somewhat get Graham’s point about the problem with saying governments are corrupt to the core, but I also believe that if we don’t adopt a realist position with respect to how monied interests structure governments and continually pull strjngs it’s impossible to engage in any effective politics. Would I prefer to be in the US as opposed to China? Of course. Does that change the fact that the system is rotten to the core? No. 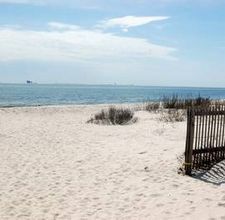 I’m heading off to Daupin Island in Alabama for a week long vacation early tomorrow morning. The house we rented looks right out on the bay from the back and right on to the gulf from the front. I can’t wait to build sand castles and play in the surf with my daughter Lizzie! With any luck I’ll also get some reading done as well. I’m hoping to get through Stenger’s book on Whitehead (though recently discussions about his theology are really souring me on his thought, deepening my conviction that Deleuze can do all the things Whitehead does in a far less problematic way), Parikka’s Insect Media (which is excellent so far), and Okrent’s Rational Animals (which is also very good). During this time I’m going to try to avoid the internet as much as possible, so if comments aren’t posted right way don’t worry!